Executive Summary: Why should Breeze be awarded your business? And what differentiates us from the competition? $50 per month. One Price. All Features. No Set Up fees. No Termination Fees. Cancel Anytime. Unlimited People: No limits in place. Breeze is designed for small to mid-size church management. Suggested limits for optimal function is up to 2,000 in weekend attendance and 8,000 individual people records. Available in final decision phases. If you want to print name tags at check-in: DYMO LabelWriter 450 or 450 Turbo, print from a PC or Mac, USB connection and installed Dymo LabelWriter Software. Breeze App for iPhone, iPad, & Android. It takes roughly 4.5 minutes to get signed up with Breeze! After that, we can import your data for you within 7 days of receiving your file(s). Complimentary Import: We provide a complimentary import service that will help you get out of your current system and into Breeze, in no time at all (within 7 days)! No further implementation plan provided. Data Security: There are a number of ways in which Breeze works to keep your data safe! These include: Encrypted Connections, Daily Back Ups, The Use of a Reliable & Secure Datacenter, Customizable Privacy Levels for Users, Allowing You to Store Data on Your Own PC. Daily, Automated Backups: We back up the database every 24 hours. Our backups also allow us to restore your database if you or another individual accidentally delete data that should have been retained. We also back up the filesystem every 24 hours which creates a back up of all content as well as a redundant database backup. Our customer support team is available 9-6 Eastern Time via phone (888-320-6030) or email (support@breezechms.com). Breeze documentation is available 24/7. Account management is handled by your agency. There are a couple of optional services within Breeze that include additional fees: online giving transactions and texting beyond the 250 included text messages every month. Online Giving: We love simple pricing and so there are no additional monthly fees for using online giving; rather, you pay transactional fees (a small percentage of each donation): listed here. Texts Beyond 250 a Month: You can send 250 text messages per month at no additional charge. After the 250 threshold*, there is a cost of $0.01 per text. You must enable Unlimited Texting to send beyond the 250 complimentary messages per month. *It's important to understand that when a text message is sent to a group of people, Breeze sends individual text messages to each person in the group. Customizable People Profiles: You control the data that is being tracked and stored in Breeze, which means that it can be highly customized and tailored to your own needs! Printable Directories: Quickly generate printable and customizable photo or text directories for your membership, classrooms, or other groups. Email People & Groups Easily: Emailing people is simple in Breeze and can be done directly from the People or Tags section! You have the option to email everyone in your system, or narrow it down based off of dynamic qualities (such as all the Members over the age of 30). Email signatures, templates and scheduled delivery and deliverability reporting available. Send SMS Text Messages: Breeze allows users to text one or more people at a time for quick communication. The texting tool is meant for one-way communication and cannot receive replies. Churches can send 250 text messages per month at no additional charge. Follow Ups: Follow Ups allow tasks to be assigned to staff or volunteers in relation to a specific person in the database. One of the most common uses for follow ups are for following up with someone who is interested in more information about a specific area in the church (e.g. Children's Ministry, Small Groups, Membership). Member Access: Member Access allows an individual limited access to Breeze in that they can see their own data and (optionally) their giving history, attendance records, groups they belong to, and the ability to donate online through previously-used payment methods (i.e. a specific credit card, debit card, or bank account). Access Restriction Control: With the Users & Roles section in Breeze, you're able to establish custom permission roles for your users! This allows for fine-tuned control over what each user can see and do within your Breeze system. Event Management: Organize all of your events on a central calendar. Multiple Calendars: Allow churches to place different events on different calendars. You can choose to show or hide certain calendars, give users permission to only access specific calendars, and even select which calendars should show up on your website. Embed Calendars: Embed calendar(s) on your website or integrate with Google calendar. Event Registration: Create online event registration forms for people to sign up and pay for events.  Forms allow churches to create custom forms which church members can fill out. Entries can then be associated with the person's Breeze profile, allowing churches to quickly see what forms an individual has filled out. Forms are public-facing, meaning people do not need a Breeze account to fill them out. Forms are a great application for: Mission Trip Registrations, Class Registrations, VBS Registrations and more. Check In: Check In & check out individuals or families, in search mode (search by name) or list mode (scroll to name and select.) Add visitors (individuals or families) with desired information that best fit your scenario. Generate reports to find out what age groups are attending, where most people are coming from, and more. Receive alerts if families stop coming multiple weeks in a row. Breeze allows you to print to a computer-connected printer (PC or Mac) from any device that has a web browser. This includes iPhones, iPads, Andorid tablets, Android phones, Kindles, Nooks, laptops, desktops, and more. Best practice is a volunteer based check in process. Name Tag Printing & Customization: Printed name tags for Check In can be customized to include the information that's most important to you! Breeze also offers Child and Parent tags for separate customization and increased security at pick-up. Volunteer Management: Allows users to schedule or invite volunteers for one event or on a recurring schedule (e.g. nursery, band, etc). Those volunteers can then receive email reminders and/or RSVP requests so event organizers can easily keep track of who is going to be there and plan for those who can't make it. Establish volunteer roles and set quantities for service needs. Track Giving: Users can add contributions into Breeze by using the donor's name, envelope number, or scanning their check. Breeze is all about donor management. So this means Breeze will track your individual donations, prepare year-end statements, and manage pledges. Online Giving: Online Giving allows you to accept credit card, debit card, and ACH bank transfer donations from anyone over the web or by text. We'll create a giving page for you and you can link to it from your website, embed it within your site, send it to others by email, or share it on social media. All fees associated with Online Giving are transactional. Text Giving: Text Giving allows you to accept credit card, debit card, and ACH bank transfer donations from anyone via text message. We'll give you a text to give phone number to share with your membership. All fees associated with Text Giving are transactional. QuickBooks Integration: QuickBooks is a leader in the market of accounting software. Breeze intentionally limits its financial scope to tracking contributions. We don't attempt to be a full accounting program with accounts payable and accounts receivable because frankly, we think QuickBooks is doing a great job with this. We'd rather let QuickBooks do what they do well and allow us to focus on what we do well, that being church management software. If using "Quickbooks Online" or another accounting system, we recommend this alternate approach. Online Giving Integration (Third Party such as PayPal): If you'd prefer to use an alternate payment platform (i.e. not the built-in Breeze payments system), Breeze allows churches to receive money through third-party payment providers and have those donations show up within Breeze. Year End Giving Statements: Instantly generate year end (or quarterly) giving statements to be sent by mail or email. Customizable Reports for People, Contributions, and Attendance: Reports in Breeze typically refer to obtaining a list of people matching certain criteria. These lists can be generated by advanced filters available in both People and Contributions, printing or exporting results. Additionally, attendance reports are available in list and graphical views. Export People: Export individuals or families into several different formats, including: Excel, directories, mailing labels, name tags and letters. MailChimp Integration: Giving you the ability to synchronize tags with MailChimp lists. If synchronized, as soon as someone is added into a tag within Breeze, that person is also added into the MailChimp mailing list corresponding to that tag. This saves churches from having to worry about if they remembered to update MailChimp with their church data because the two are synchronized. Integration with Planning Center Online: Once connected, Breeze will synchronize changes made to a linked person's information in Planning Center. It's a one-way sync from Breeze to Planning Center. Breeze will pull the list of people in Planning Center and allow you to link people so their information is kept synchronized. You can add people to Planning Center right from Breeze. There is a "Add Person to Planning Center" button on More > Extensions > Planning Center. Open API: The Breeze API (application programming interface) allows churches to build custom functionality integrated with Breeze. If you have someone with programming talent in your community, that person can use the Breeze API to build your own custom applications on top of Breeze. Want the check in functions to operate differently? Want to pull people's data into a separate system? Integrate away!